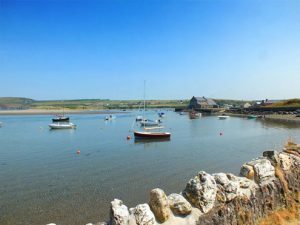 With more Blue Flag awards than the rest of Wales put together, Pembrokeshire has to be on your shortlist for a family holiday. 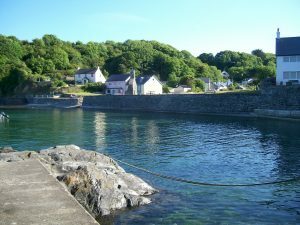 Fishguard is an ideal base for your stay, with the coast and countryside providing everything you need. Ireland is a short journey away with Stena Line ferries. 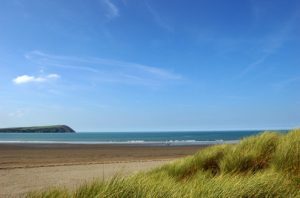 Here are brief details of the nearest beaches to Fishguard; a list of all the beaches in Pembrokeshire can be found here. Vast sandy mile long beach backed by sand dunes and overlooked by golf-links, Newport Golf Club. Very popular and with ample car parking and facilities. Reached by turning off the main road as you leave Newport for Cardigan. 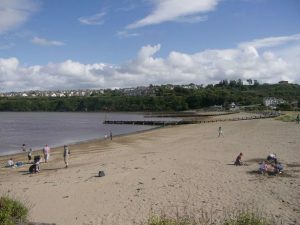 Small sand and pebble beach within easy reach of the town centre and its facilities. Location of Newport Boat Club. Good car park with toilets. Shingle beach with sand at low tide popular with families and sailors. Set back a few yards from the beach is the ruined Church of St Brynach which was destroyed in the great gales of October 1859. Reached by a narrow road from the main road north of Dinas Cross. Car park and toilets. Sheltered grey sandy beach with ample parking and toilets. 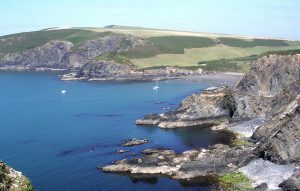 From here you can do a circular walk along the Coast Path around ‘Dinas Island.’ Here you get the very latest evening sun. Great pub and restaurant alongside the beach. Access by turning off the main road in Dinas Cross at the Ship Aground Inn. 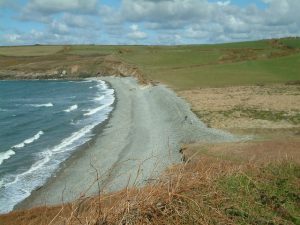 A sand and shingle beach overlooking Fishguard Harbour and sheltered by the breakwater and backed by a grassy bank. Safe bathing and popular with families. Ocean Lab features ‘Ollie the octopus’, cyber cafe, ocean quest, coffee shop, soft play area for under fives and tourist information centre. Plenty of parking space and toilets. Shops, pubs and Post Office close by in Goodwick. 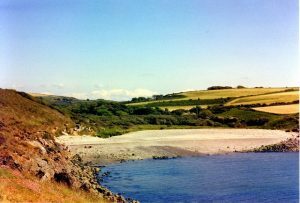 Reached by a narrow lane from near Tregwynt Woollen Mill, Aberbach has a sandy beach at low tide backed by a shingle bank. Parking difficult and no facilities. Quiet sandy beach adjoining Aberbach and again backed by a shingle bank. Once considered as the main terminal for transatlantic steamers. Look for the remains of a petrified forest at low tides. Good circular walk through the woods at the rear of the beach. Signposted from the main Fishguard to St Davids road but limited parking on the roadside. No facilities.